These particular prints of 'Vegetation' are the large version of this series which were exhibited at the Asia Pacific Triennial in 1999. 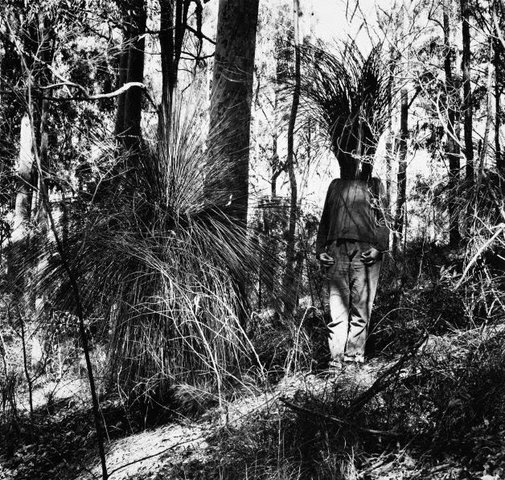 They are similar in scale to the series 'Forest' (1996-98) and have the same beautifully modulated tones of black through white. They also share the same sense of an immersive, enveloping landscape. 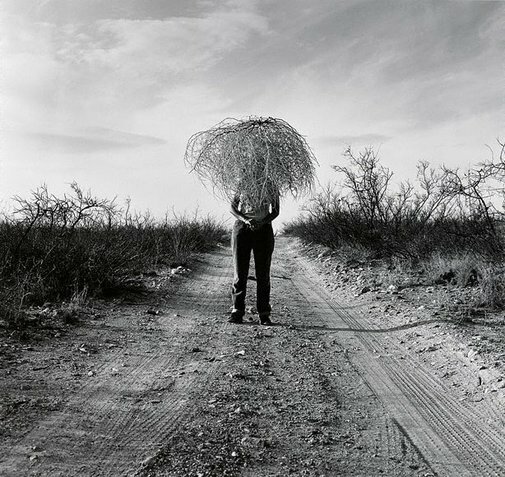 In these works which were begun at a residency at Artpace in Texas, Gill begins the process of masking and disguising, of naturalizing human figures into the landscape (in this case herself) through obscuring their heads with fruit and vegetation, that was to be so important in her later bodies of work such as 'A small town at the turn of the century'. 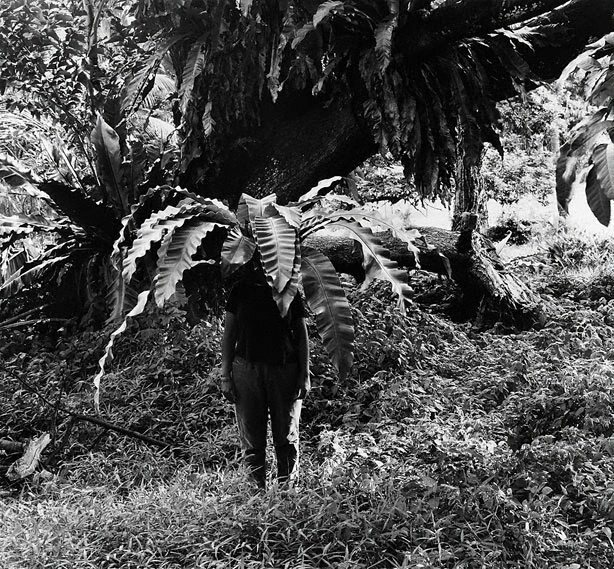 Curator Sharmini Pereira has written: "In this series of photographs, her self-portrait dominates but only as a stream of disguises involving plants in various geographic locations; tumbleweed and aloe in Texas, mangrove and black boy in Australia, and bird's nest fern in Singapore. 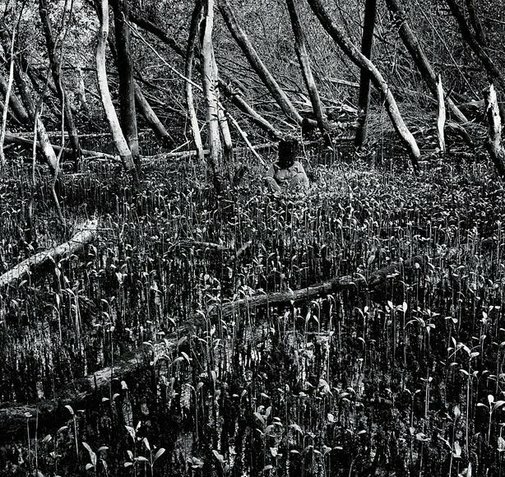 The images bear an uncanny resemblance to a sequence of B-movie stills, where vengeful alien-plant-people threaten to over run the planet. Many Hollywood films have of course played out such narratives as a projection of Cold War anxieties fearful about the threat of Communist contamination. 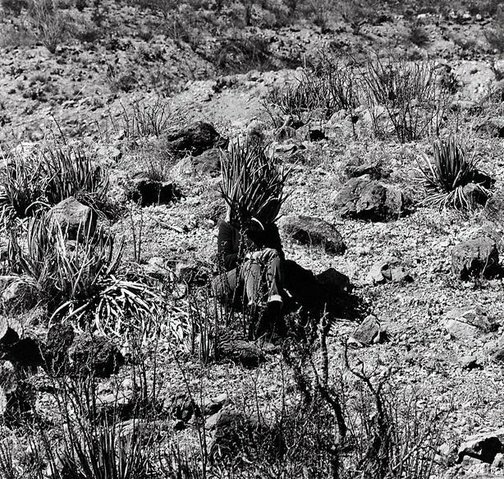 But if 'Vegetation' represents the future through some fear located in the past, it does so through a mimetic representation of the present…'Vegetation' parodies the camera's framing of today's culture contact.